Is web hosting needed for a website? To have a fully functioning website you will need a domain name, web hosting and site files. Imagine, for example, the domain name is your street address, your web hosting is the flat you rent and the site files are the items stored inside your flat. 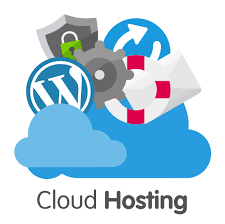 Your web hosting company will provide the server to store your site files (e.g images, web pages, blog posts, videos etc…) so they can be accessed when people visit your domain name. Web hosting with 123-Reg – Web hosting from only £2.49 a month with 123-Reg. Web hosting with Godaddy – Up to 50% off hosting plans now at GoDaddy! Web hosting with Names.co.uk – Up to 40% off annual limitless web hosting with Names.co.uk. Web hosting with Heart Internet – Web hosting from only £2.49 per month with Heart Internet. Web hosting with HostGator – Get website hosting from HostGator. Web hosting with Easyspace – Buy EasySpace web hosting packages. Web hosting with One.com – Host your website with One.com. Web hosting with 1and1 – Get website hosting with 1and1. Domain name – You can choose a free domain name or get your domain name included with your web hosting plan, however your choice of domain extension may be restricted. For example, you might only be able to choose domain names ending in the .co.uk extension. Web space – Your web space is where you store the files that make up your website. (Images, web pages, blogs etc…) You can upload these files to the web space using FTP software. File storage – You can use file storage to store your files online securely in the cloud. SSL certificate – The SSL certificate allows you to securely accept payments online. MySQL database – Common applications for the MySQL are php and java based web applications that require database storage backend, for example WordPress, Joomla, Drupal, xwiki etc. Bandwidth – Think of bandwidth as like a pipe, the more people visiting your website the bigger pipe you’re going to need. Your bandwidth allowance can vary depending on your chosen web host. If your hosting plan doesn’t include enough bandwidth for the number of people visiting your website then your site will run very slow and can even crash. Easyspace as well as 123-Reg, Hostgator and GoDaddy all provide unlimited bandwidth across their web hosting plans. Site backup and restore – Site backup will keep a copy of your site files and restore lost files if something goes wrong. Shared web hosting – Shared web hosting is where multiple websites are sharing a single web server. Shared web hosting is an ideal option for new bloggers and small websites as they typically require very little disk space and bandwidth, making it quite a cost effective option. As your site traffic increases and your website grows, you can always upgrade your hosting plan to dedicated web hosting or VPS hosting. VPS web hosting – A virtual private server (VPS) allows you to host storefront, e-commerce, content and media sites as well as software applications including portal, extranet, collaborative solutions, wiki and CRM. Unlike shared hosting, VPS web hosting makes it possible to isolate multiple applications from one another within the same container. While this VPS container shares physical infrastructure with other containers, its resources are dedicated to you. Dedicated web hosting – With a dedicated web hosting environment, you have the entire server to yourself. As a result you can expect faster performance from dedicated web hosting as you command all the server’s resources. (You don’t have to share with other website owners.) Dedicated web hosting is a good choice for sites that require a lot of system resources and high levels of security. It’s recommended you calculate the ongoing running costs of a dedicated server as you’ll be responsible for all costs. WordPress hosting – Many web hosting companies support content management systems (CMS) and other web applications on their web hosting platform. Web hosting companies such as One.com, Heart Internet and Easyspace offer WordPress hosting, Joomla hosting and Drupal hosting on a one click install making it quick and simple to get your website up and running. With one click install it’s also very easy to upgrade to the latest version of the application, therefore keeping your system secure and up to date. Magento hosting – Magento is a free eCommerce application for your own store or online shop. Magento hosting is supported by 1and1, Godaddy, and HostGator on their web hosting platforms. Windows or Linux hosting – Most web hosting companies offer both Windows and Linux hosting. Which one you need depends on the function of your site, such as if you want to create a shopping cart, blog or podcast with a specific web application. As well as this you’ll also need to consider the size of your website and the traffic it receives before selecting a web hosting plan. I already have a website, can I transfer to another web hosting company? If you have access to your existing website files, you can upload them to your new web hosting company via an FTP client such as filezilla. If you don’t have a current copy of your website, you should be able to request one from your current website hosting provider. Can I host multiple domain names with my web hosting? Web hosting companies such as Godaddy offer hosting plans that allow you to host multiple websites. You can also use these plans to set up various names (aliases) for your website and direct visitors to specific web pages.